Below you will find resources on a variety of ways to start a youth program in your community along with custom marketing flyers, videos, and more. Simply click on the file name and depending on the file type it will open in a new window or download to your computer. Youth Development Guide: Build a successful youth program with this Youth League Development Guide. Bowling Center Marketing Tips: A playbook for bowling centers, large or small, seeking to elevate their business and incorporate proven marketing strategies. Building Youth Program: Need some inspiration to get your youth program rolling? Check this guide for details on developing your program. Starting a Youth League: Guide to starting a youth league. Growing Youth Bowling: Guide to using local USBC chapters and charitable organizations to grow youth bowling. Coaching Guide: Tips for coaching your youth bowler. Youth Promotions: Promotions and ideas to help grow your youth programs. Lock-In: Tips for throwing a successful lock-in at your center. Bowling Camps: Guide to hosting a bowling camp at your center. Birthday Parties: Tips for throwing a memorable bowling birthday party. Youth Celebration: Customize this youth celebration flier with your specific information and logo. Fun with Family: Customize this flier with your information and logo to show how bowling can be fun for the entire family. Fun with Friends: Customize this flier with your information and logo to show how bowling can be fun with friends. Join a League: Customize this flier to promote your youth leagues. Youth League Information: Customize this youth flier with your league-specific information and logo. A Future for You: Print this USBC Youth poster and place it in your center or business to encourage kids to experience the enjoyment of organized bowling! Let's Go Bowling: Share this youth video that shows the fun and excitement bowling offers. A Healthy way to Live: Share this youth video that shows how bowling promotes healthy living. Friends, Family, Fun: Share this youth video to show how much fun you can have bowling with family and friends. Join a Team Today: Share this youth video to share the fun and excitement of joining a league and being part of a team. 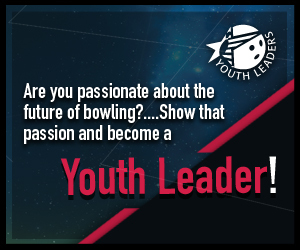 Be a Better Bowler: Share this youth video to see the excitement of becoming a better bowler. Order Supplies Here: View the order form for Bowling is a Healthy Way to Live custom printed materials. Brochure: A brochure with information about bowling as a healthy activity. Customize this with your center information. Bowling is Healthy Postcard: A postcard with information about bowling as a healthy activity. Customize this with your center information. 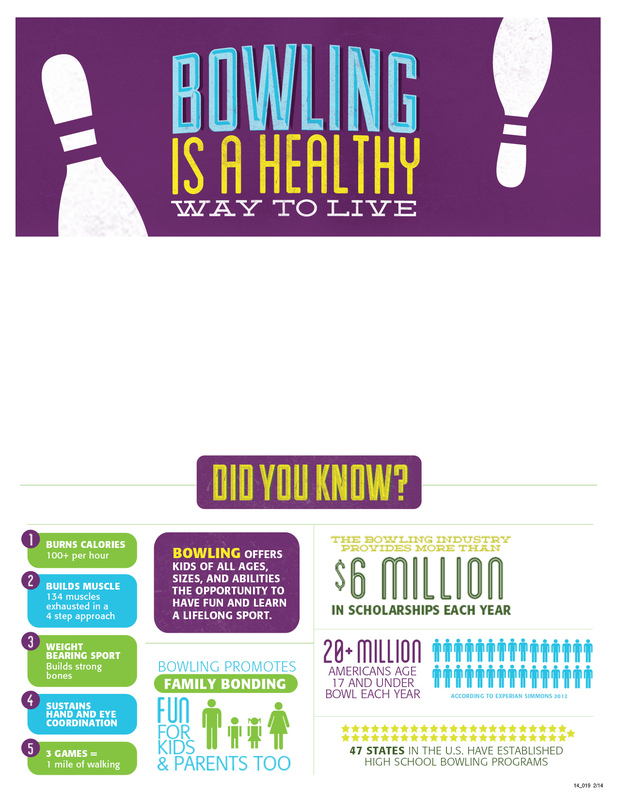 Bowling is Healthy Poster: A full-size poster with information about bowling as a healthy activity. Bowling is Healthy Web: Add your center logo and share these bowling facts on your website with this banner ad. Email Template: Promote the benefits that bowling has to offer with this email template. Simply drop into your email program. Scholarship Standee: Promote bowling scholarship opportunities with this scholarship standee sized at 68.25” x 31”. Simply send this print file to your local printing company. Youth Leaders Logo: Youth Leaders logo in color. Youth Leaders Logo (Black/White): Youth Leaders logo in black and white. Custom Flyer: Promote your Youth Leaders program with this customize version of the flyer. Web Ad: Advertise your Youth Leaders program on the web.